A Kimberley Wilderness Cruise with more time for fishing! Stalk elusive barramundi when conditions are at their best. Arm-wrestle giant trevally, lure smashing mackerel and ‘fine-eaters’ such as mangrove jack and fingermark. 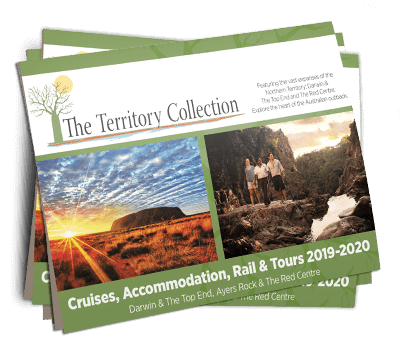 And, at the same time keep everyone in the gang happy with stunning sojourns to many of the Kimberley coast’s iconic destinations. Your “welcome aboard” the magnificeheli-transfer to your floating boutique hotel in the spectacular Hunter River. Once on-board, settle into your cabin and enjoy a welcome aboard refreshment before heading off in search of the mighty barramundi and equally revered mangrove jack! Yes, that’s right – no time to dally – the fishing action waits for no man, or woman! The Roe River is another opportunity to catch a barra as we explore a river that boats one of the highest crocodile counts in the Kimberley! The Roe was named after the first Surveyor-General of Western Australia – John Septimus Roe who conducted numerous expeditions along the Kimberley coast between 1829 & 1849 and, the ship’s helicopter will dramatically demonstrate the maze of creeks and endless coast that the early explorers encountered! With time on our side we’ll retain the history theme with a visit to Phillip Parker King’s boab tree in Careening Bay. The mouth of The Roe is a ‘hotpot’ for threadfin salmon and in the afternoon we’ll sail into Prince Frederick Harbour for sunset drinks on Art Island. The scenery will astound and there will be more ‘not to be missed’ fishing action as the TRUE NORTH graces the majestic Prince Regent River. At King Cascades we manoeuvre the bow under the falls and swim in the billabong above. But enough of that – it’s picnic day! Another breathtaking helicopter flight this time to the picnic that you’ll never forget – the TRUE NORTH’s mouth-watering cuisine prepared alongside a crystal clear billabong – in one of the most remote places on earth! Those with an interest in indigenous rock art might also take advantage of a dedicated rock art flight. This morning the expedition boats will ply St George Basin and Rothsay Water – more discovery and, more fishing action! Perhaps there will be opportunity to visit the ruins of an ill-fated first settlement and the graves of the most unfortunate. Then join ‘the hunt for the giant black-lip oyster’. In fact – their much-talked about proportions render them not that hard to find at all! Savour their unique taste direct from the rock – aside freshly squeezed lemon; you can’t get much more au naturel than that! The George Water is very highly regarded as a fishing destination – and that is saying something in the fish-rich waters of the Kimberley. The ‘George’ is a vast area of creeks and estuaries known to be stalked by hungry barramundi! A large mulloway or ‘threadie’ will also give you a run for your money and other target species include ‘fine eaters’ such as mangrove jack and fingermark. Then it’s onto the Barlee Impediment – a huge bank of mud surrounded by intriguing mangroves. The mangroves always prove to be a bird-watchers delight and the area is another favoured barra habitat! We’ll also explore the Glenelg River. Any chance to explore the ‘Glenelg’ is a chance not to be missed – the river is remote, not often visited and well known for crocs! No fear in the ship’s helicopter though – those keen for a swim can fly well beyond the reach of even the most determined saltie! A short cruise will then deliver all aboard to the impressive silhouette of Raft Point. Here, join a moderate hike to an art gallery with a difference and Raft Point’s well-preserved Wandjina paintings. In the late afternoon the expedition boats will be away again – this time in search of the Kimberley mud crab. Mud-crabbing is definitely a favoured activity on-board the TRUE NORTH but it might be a good idea to let your guide wrangle these feisty critters – as you keep equally busy with a chilled beverage in hand! It’s time to introduce a Kimberley icon – Montgomery Reef! Montgomery is a unique eco-system that must be seen to be believed – and see it you will – as 140 square miles of coral rises out of the ocean right before your very eyes! Water cascades from the reef as the falling tide exposes a privileged glimpse of another world! Turtles, dugong, manta rays and every imaginable sea creature abound whilst the ship’s helicopter puts all in perspective! And even more high adventure today! The ‘Walcott’ is renowned for big barra and even bigger crocs! And the opportunity to ‘ride the tide’ through the spectacular Charnley Gorge, to where the salt meets the fresh – is one of the Kimberley’s most hand-picked experiences! This is especially so if you then get a chance to sight-cast ravenous barra as they wait for the tide to spill into their billabong home away from home! Jacks, fingermark and threadfin will also be on today’s ‘list’. Today we encounter yet another Kimberley icon – The Horizontal Falls! Experience the awesome power of the region’s huge tidal range in an exhilarating expedition boat ride and then climb aboard the helicopter for a view of the falls that few experience! The fishing action continues too with impressive soirees into the local creek systems. Secure Bay and Leadline Creek offer one last opportunity to land a barra and the waters around Cockatoo and Irvine Islands conclude the blue-water action before we enjoy a leisurely evening cruise around Cape Leveque. Your courtesy coach will arrive at approximately 0800 hours for transfer to the Broome airport or your accommodation and, our crew will already be looking forward to the next opportunity to welcome you aboard the mighty TRUE NORTH.